Everyone has heard about the “purple squirrel,” a term referring to a nearly non-existent (dare we say magical?) employee that will change the destiny of your company. Some say that companies are becoming too extreme in their searches for purple squirrels, and expect too much of their candidates. Others say to give up on the purple squirrel dream; the money and time invested may never result in finding your dream hire, and all the while you have a position that still needs filled. I’m here to tell you that while the purple squirrels are rare, they are not impossible to find – and they are more than worth your investment. Luckily, there are a few telltale signs when looking for this star leader. When a seasoned professional is scouting them out and strategically recruiting them, you will be glad you didn’t abandon the search for your ideal hire. They aren’t looking for you. When searching for your purple squirrel, you can almost guarantee that they are already employed. This means they are not actively job searching or on career board sites – you must actively find them on your own and recruit them in a non-traditional fashion. These workers are typically middle-management or entrepreneurs at other companies, and are already extremely accomplished in and out of work. They are usually involved in associations and other communities outside of their job, and fit the skills of many job descriptions simultaneously. They also offer the benefit of needing little-to-no training, initially saving company time and money by jumping right into job responsibilities. Excite them about your position. So you might be wondering how to recruit this supreme innovator who already has a job. The answer is this: it is not easy by any means, but you must excite this employee. You need to offer them a creative position, one where they have control of a project. They need the freedom to grow and innovate. Give them an exciting challenge and the responsibility to start with a blank canvas. Don’t be stingy with a purple squirrel. You must also realize their potential and offer them benefits and compensation that will draw them away from their current job. It takes more than the usual amount of recruiting effort to catch the attention of a purple squirrel, but giving them a meaningful project will boost your efforts. Recognize an innovator when you see one – and know how to sell them. Most people know the story of Steve Jobs; he was clearly a purple squirrel with an exponential amount of talent. However, when he applied at HP, he was overlooked because he was a college dropout. He then co-founded Apple with Steve Wozniak and transformed the company into the tech giant that we know it as today. Before he achieved that great success, he would have failed the conventional recruitment approach. This shows the importance of recruiting a purple squirrel differently than most candidates. Another way to ensure you are recruiting these candidates differently is to sell them, and not the other way around. Your recruiting process, assessments and overall candidate experience should be innovative and pleasant for them. They know their worth and have expectations on how they will be treated, as well as the kind of work they are being offered. Make it worth your while, and theirs. I can tell you from my own experience that this is possible for any company to achieve with the right worker. I once recruited a VP of Strategy and Technology for a small $40 million plastics company in California. I recognized the candidate as a purple squirrel, and he didn’t disappoint. The new VP changed the way the company thought about its business and introduced them to new product lines, market segments, branding and technology. He was a game changer for the company, increasing the revenue to over $130 million in just four years of taking over strategic leadership of the company. While the search may take time and some money, these employees are worth the investment because they are game changers. They can change the whole strategy of a company by thinking outside the box, and frequently develop new products or technology. The purple squirrel can take a company from a path they are on and pull them in a completely different direction, up to the next level of business. 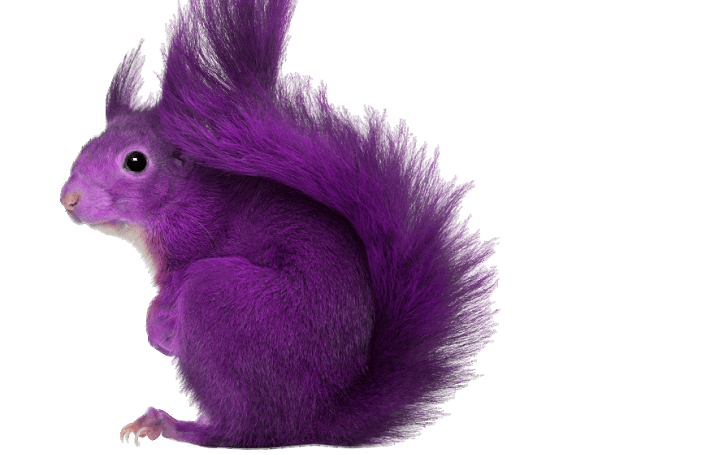 With these new innovations of product, strategy and technology, a purple squirrel can drastically drive revenue and even dominate a market. If you are looking for your company’s next purple squirrel, don’t waste time and money seeking these rare candidates on your own. Call an experienced Executive Recruiter to start your search, and reap the benefits of these elusive innovators.